Tips to Help Your Parents Speak Up! We know you want your all of your parents to share their opinions and experiences as part of your Speak Up effort this year. 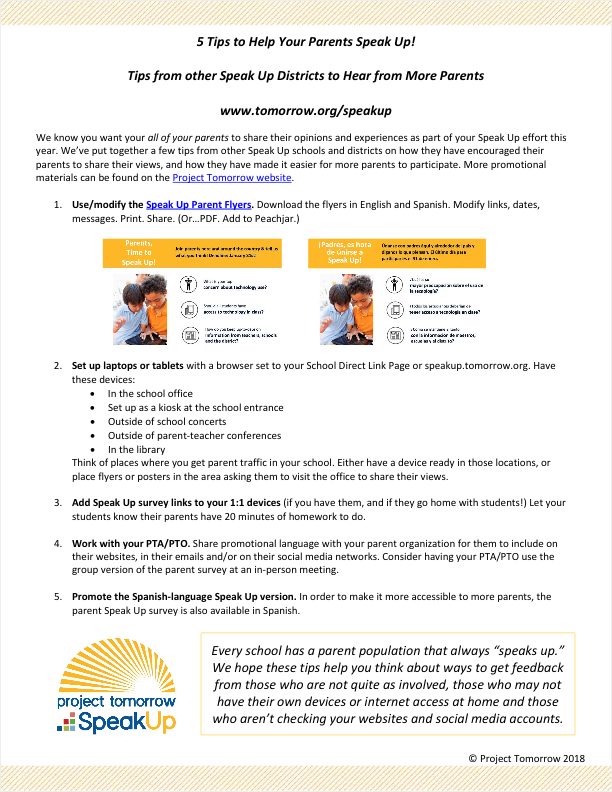 We’ve put together a few tips from other Speak Up schools and districts on how they have encouraged their parents to share their views, and how they have made it easier for more parents to participate.